World Cup Wednesday: Penguins in 3D! TinkerCup Penguins printed by Shapeways! Look what we got in the mail, just in time for the big match tomorrow! 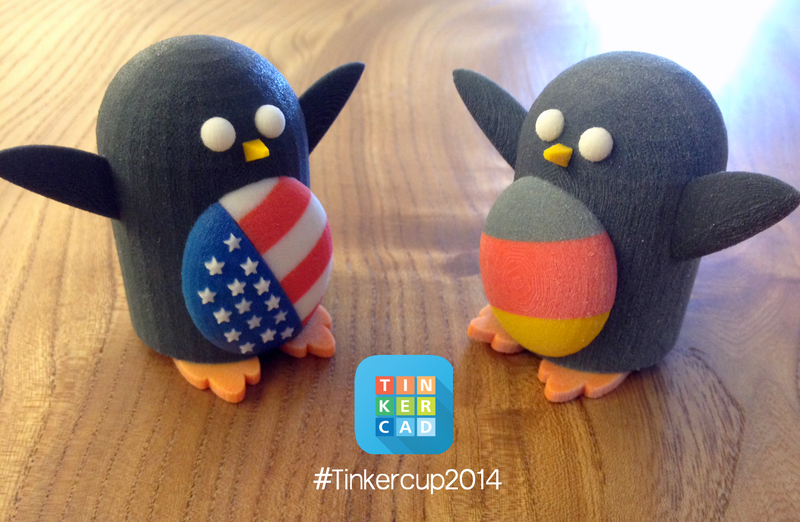 Shapeways have awesomely printed a couple of the Tinkercad Penguins for the USA v Germany match on Thursday. Both models are part of the 32 qualifying teams we made for #Tinkercup2014 on Tinkercad.com and have translated nicely into full-color sandstone. Check out some of the other teams and order your own little totem for the 2014 FIFA World Cup! Previous Deadline for #Tinkercup 2014 Submissions Extended!